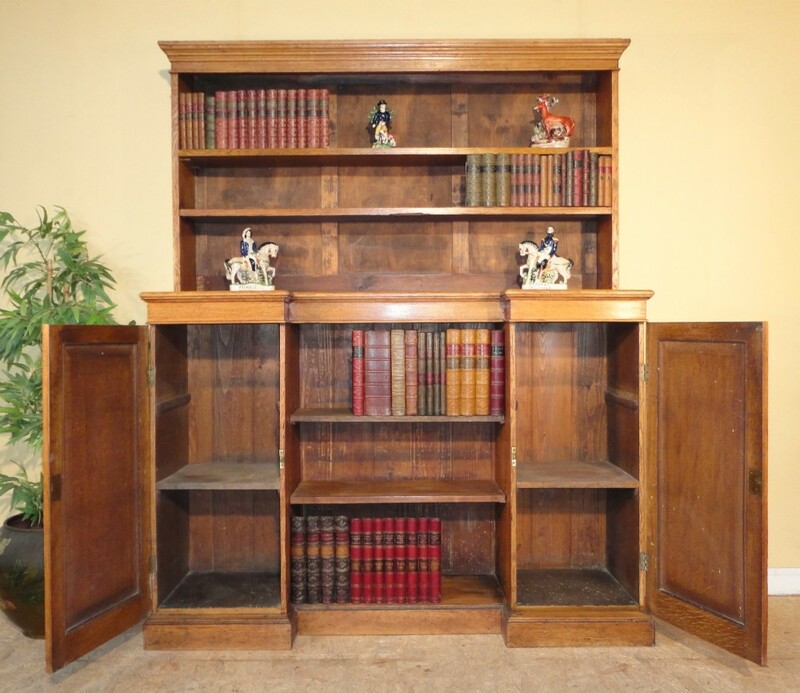 A pair of handsome bookcases in quarter sawn oak and dating to the second half of the 19th century. 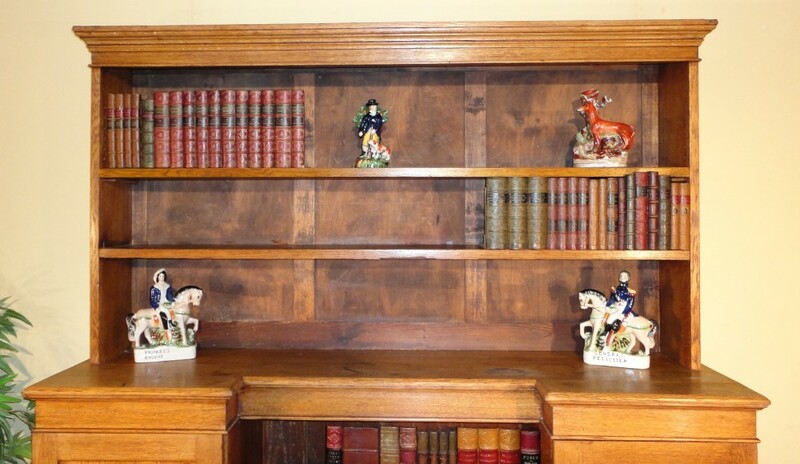 Each with open shelves above an inverted breakfront base with cupboards to each side. These were reputedly from an Oxford college and one still has the name plate for ‘Elliston & Cavell Ltd, House Furnishers, Oxford’. 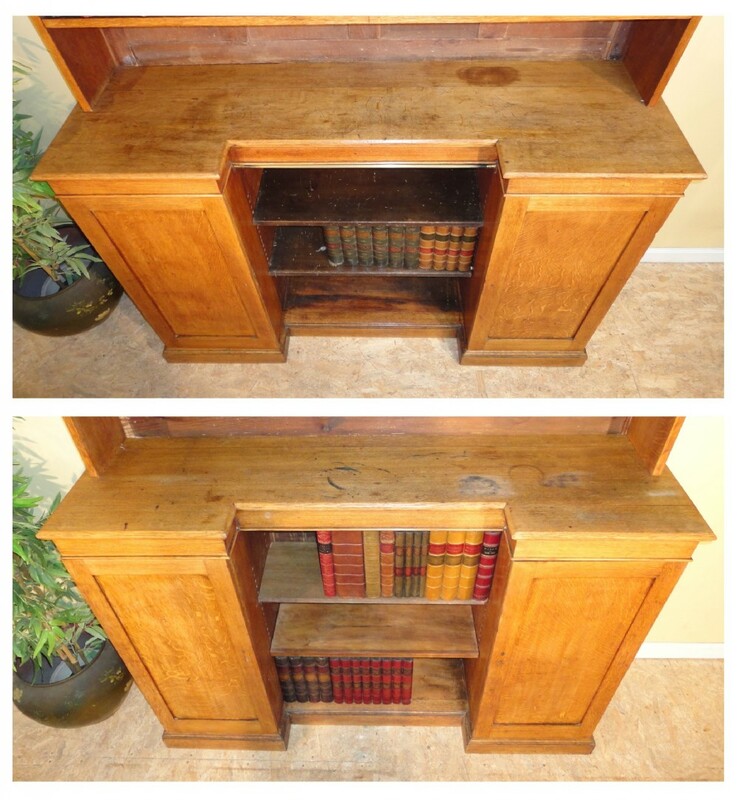 In good original condition and with desirable golden colour. On the upper section the lower shelf is fixed with the upper being adjustable. 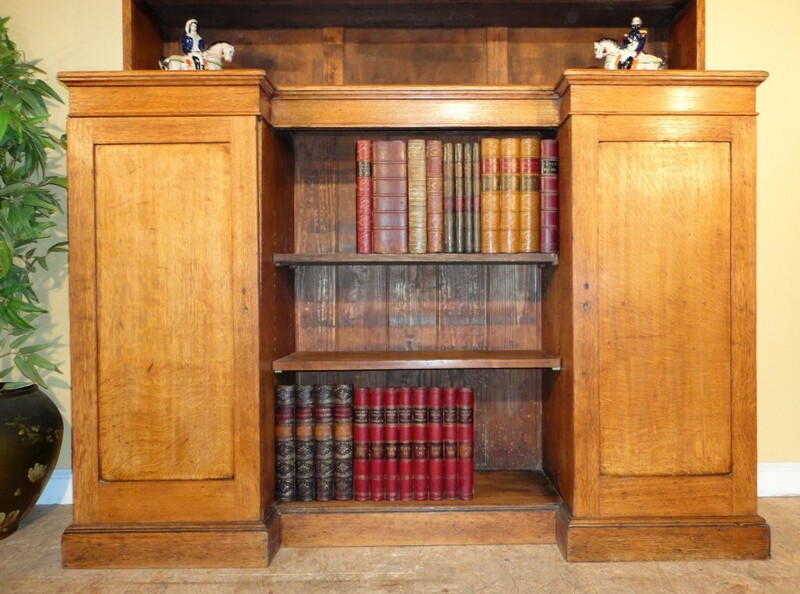 One bookcase has two shelves to each cupboard whilst the other has one but they could be swapped around to suit, both shelves to the centre section are adjustable (one shelf not original). A brass curtain rail has been added to the centre section on one but could be easily removed. There are some marks to the tops and drying lines to the sides, as well as an old repair to a hinge but all solid. 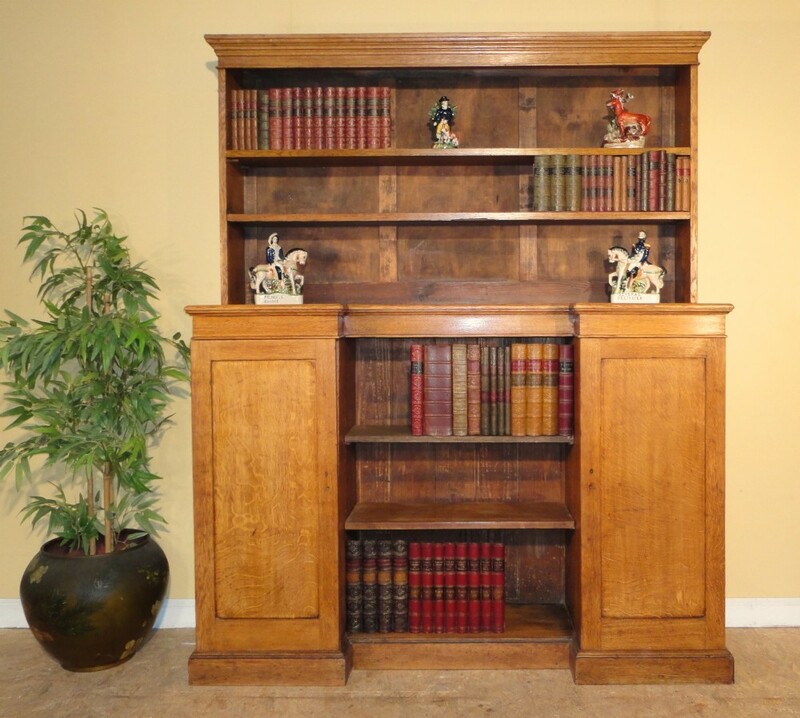 For delivery and moving each bookcase splits into top and bottom section and the shelves can be removed. 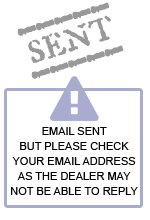 Please do not hesitate to contact us with any questions or for more photos as we are limited in the number we can upload. 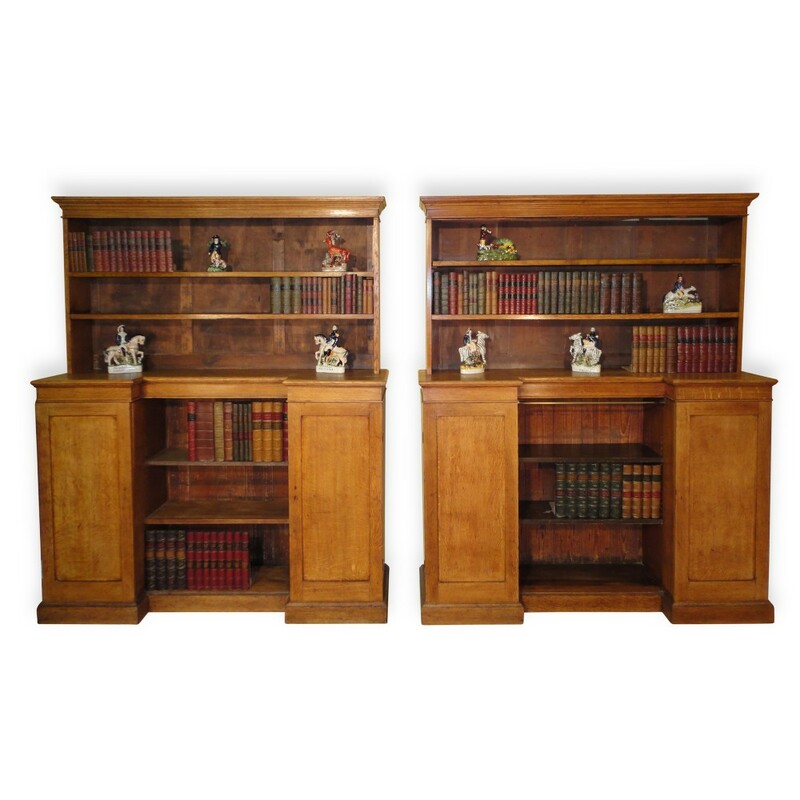 The Antique Pair of Arts & Crafts Oak Bookcases has been added to your saved items.